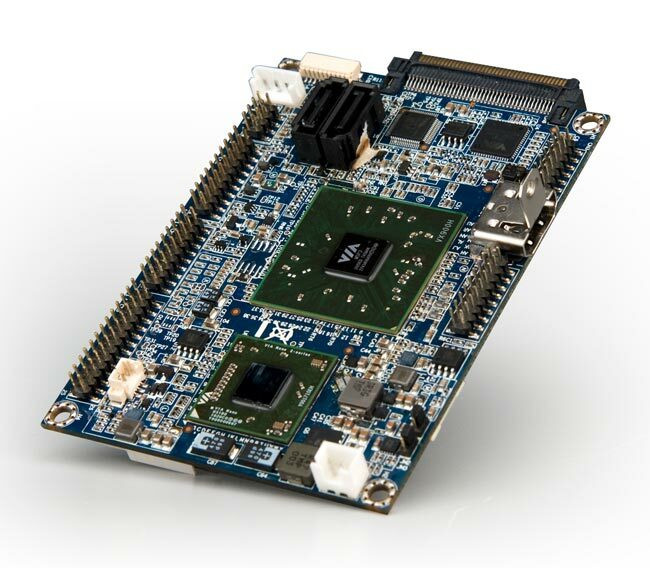 VIA well know for its miniaturisation of mainboards has created yet another tiny footprint board with full 1080p HD named the EPIA-P830 Pico-ITX. The tiny board measures just 10 x 7.2 cm and is equipped with a .2GHz VIA Nano E-Series processor and VX900 media processor together with HDMI connection. VIA has designed the mainboard for embedded applications and even though the board has minimal connectivity you can add a P830-B I/O add-on-board to get a VGA port, gigabit LAN and two USB 2.0 ports. Unfortunately VIA have not yet released any details on pricing or availability at the moment.